Our company has been repeatedly rewarded and recognized for impeccable quality of our products and dynamic development. Gazela Biznesu has been awarded in 2002, 2003, 2004, 2005, 2006, 2007, 2008, 2012, 2013, 2014, 2015 i 2016. This ranking is prepared by “Puls Biznesu” magazine and Coface Intercredit Poland, international credit information agency. 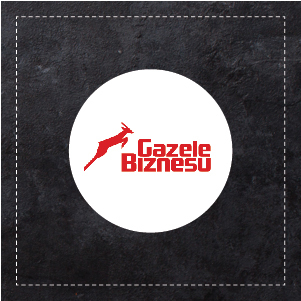 „Gazela Biznesu” is a title recognising the most dynamically developing companies in Poland. Qualified for the ranking are those companies, which: in subsequent years have shown positive financial result, have demonstrated over the years an increase in sales, level of their sales is in the range of 3 – 300 m zł, publish their financial statements in Monitor Polski, file them in registry files or share these financial statements with “Puls Biznesu” magazine. 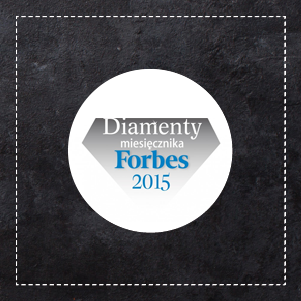 Forbes Diamonds 2015 Forbes Diamonds 2015 ranking recognizes the companies, which have reached in the years 2011-2013 yearly increase of value at the level of at least 15 percent. FMCG Market Pearl 2010. The prize awarded for Peaches in Light Syrup, Helcom brand, in Processed Fruits and Vegetables category. Chosen as Market Pearl, by owners of stores and wholesale businesses, representing the decisive voice in this Competition. The competition is organized under the patronage of Commercial News. 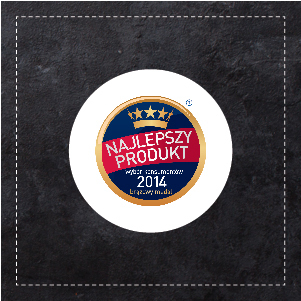 The Best Product for Helcom Poppy Seed Mass The prize awarded in 2014. The competition is organized under the patronage of Commercial News. Recognition in FMCG Market Pearl Competition 2009 The prize awarded for Helcom Burnt Apple, in Processed Fruits and Vegetables category. The competition is organized under the patronage of Commercial News.